Ever had one of these days? You’re hitting fairways, nailing greens in regulation, then 3 putting every damn green. You don’t need me to tell you that good putting leads to good scores. And bad putting… well, you know the rest. 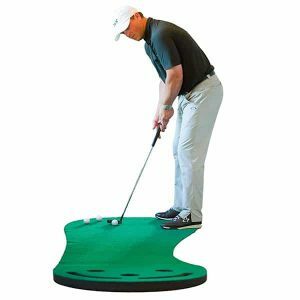 Fortunately, in 2019 there are some AWESOME putting training aids that can help you on the greens. Which means: no more stepping up to those crucial 3 footers trembling with fear. This bad boy is so good, that we also included it in our rundown of the best golf training aids this year. Well, in a nutshell, it’s designed to accept (and return) good putts, and reject bad ones. 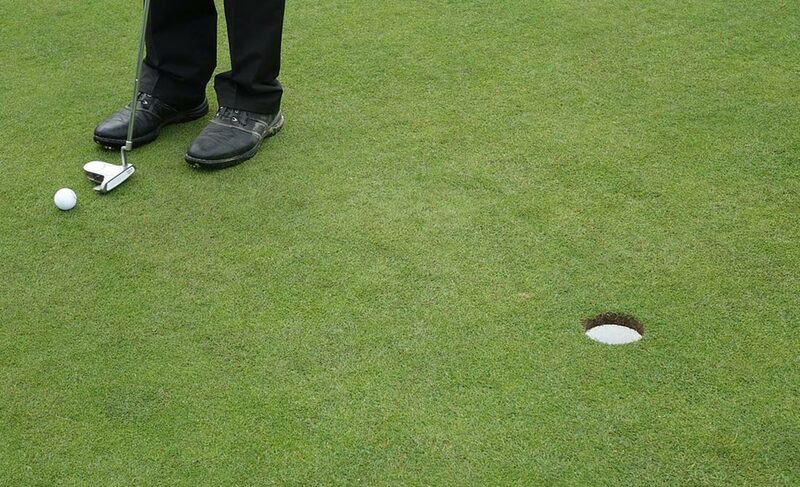 And if you get the pace of your putt wrong, the PuttOut will return the ball the same distance you would have missed. So it will help with accuracy, and also pace. Which is what putting is all about right? 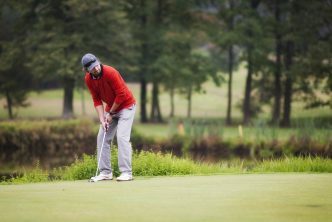 Get the putt absolutely bang on, and it will stop in the micro target before being returned. It’s a good feeling when you nail it. Yup. 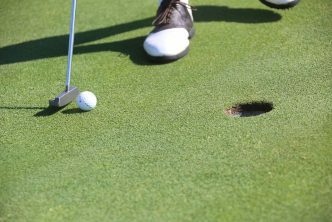 We like the “killer putting drill”, which increases the length of the putt by 2 feet each time. If you miss? You lose a life and putt again. We like that as it simulates the pressure of actual putting. A bit like Phil’s circle dril. 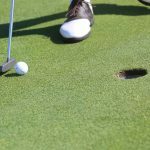 If you are buying one putting aid this season, the PuttOut is the one to get. 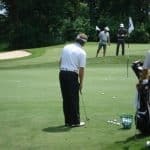 Talking of Phil, you might know that lefty’s long time short game coach is Dave Pelz. 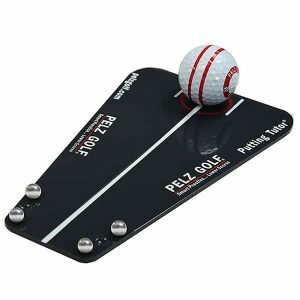 And it just so happens that Pelz has his own putting aid, which is used (and endorsed by Phil). This time it’s all about accuracy. Line up the Putting Tutor and roll the ball through the gate. Simple. And to make sure you’re getting a square strike, you’ll want to see the red line on the ball roll end over end. The secret to hearing the shout of “good roll” from the other members of your foursome. Here’s Phil demoing the Putting Tutor (excuse the cheese!). If it’s good enough for Phil… it’s good enough for us! I’ve wasted a load of money on “cheap” putting mats over the years. And it really is true: you get what you pay for. The cheap mats will quickly crease, or even worse, fold up and not lie flat on the ground. 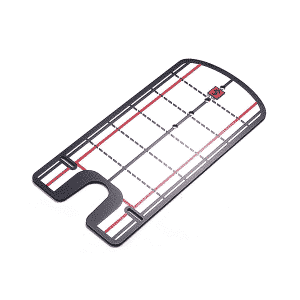 So while this putting mat is not the cheapest (currently around $80), it’s worth every cent. 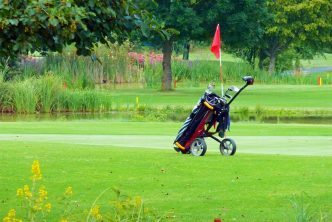 It has been designed by PGA professional Shaun Webb and is thick and wide, with natural elevation and a realistic surface. You’ll also get actual depth to the holes. Which means the ball will stay down when you sink a putt. There’s nothing worse than mats that just have a circle cut in them that the ball rolls over, giving you no indication of whether it would have actually gone in or not. If you’re looking to practice your putting indoors you need a mat. This is the one to buy. What’s the #1 cause of missed putts? You guessed it, bad alignment. 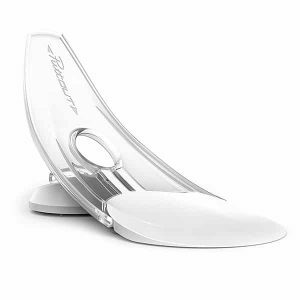 Which is why a putting alignment mirror is our final recommendation for 2019’s best putting aids. There are a ton of different mirrors available, but we like this one from Eyeline Golf. Why? Because it’s cheap, and it works. Use the mirror to work on your alignment at home or on the course. You’ll quickly see obvious errors in your alignment, and within a few weeks, you’ll have them ironed (no pun intended) out of your short game. That’s it for our rundown of the top putting aids right now. If you’re gearing up for the 2019 season, you might want to check out our guide to the best golf shoes this year. 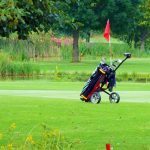 Or if you’re looking to polish up your swing, then have a read at these tips.